Several Mammoth Marketing team members recently attended a rest and relaxation event in the Dominican Republic. Meghan N., the company's Director of Operations, indicated that the retreat was a big success. AURORA, CO, August 25, 2017	(Newswire.com) - The event was attended by sales and marketing professionals from around the nation, according to Meghan. She brought Elizabeth T., Ellie K., Valerie O., Brody G., and Lilah K. with her to represent Mammoth Marketing. This travel opportunity was both a reward for their hard work and an opportunity to network and learn. Meghan explained that the event included many chances to meeting other industry leaders and business experts. They got to share their experiences while also learning what strategies and ideas have been working in other markets. According to Meghan, these conferences are the perfect way to stay ahead of the curve in their field. Beyond the immediate benefits of this retreat, Meghan asserted that traveling as a group has been very beneficial for Mammoth Marketing. She said that it is a great way to build trust and deepen relationships between her associates. Meghan added that traveling as a team is an excellent way to boost creativity. Brainstorming and thinking about new strategies in a novel environment can lead to some innovative solutions, she said. 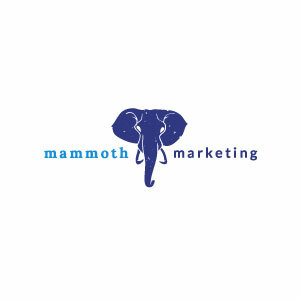 Mammoth Marketing is known for unforgettable event-based sales initiatives. The firm’s branding specialists design and launch these campaigns, which never fail to drive big business growth in new markets. Their success results from extensive research and unique messages that engage targeted buyers for the long term. The company’s shining reputation has led to rapid expansion while guaranteeing bright futures for all involved. ​To learn more, please visit mammothmarketinginc.com. Mammoth Marketing's Director of Operations, Meghan, highlighted the organization's female leaders in honor of International Women's Month. Mammoth Marketing's Director of Operations discussed the firm's diverse and empowering work culture. A few of the company's brand managers shared details on their backgrounds and professional journeys. Top Mammoth Marketing performers have recently returned from two trips. The firm's Director discussed details of both events and shared some of the travel tips she offers her brand ambassadors.